If you would like to buy our book in person I am hosting the first BOOK SIGNINGS & READINGS of Chasing the Rabbit. EGG & I, 183 US Route 1, Scarborough, Maine. Derek & Dylan chosen among 400 applications to speak in Denver! 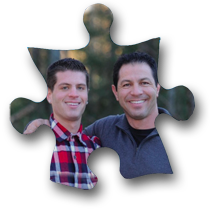 Despite over 400 applications submitted, Derek and Dylan were invited to speak in Denver, Colorado at the National Autism Association Society’s annual conference from July 8-11, 2015. We cannot wait to present our story in front of over 1,000 people this summer! Derek and Dylan were excited to find out that they will appear as speakers at the Milestones Autism Conference in Cleveland. The dates are June 18-19, 2015…. TRACY: ACCORDING TO THE CDC, ABOUT ONE IN 68 CHILDREN IN THE U.S. HAVE BEEN IDENTIFIED WITH HAVING AUTISM SPECTRUM DISORDER. BOYS ARE FOUR TIMES MORE LIKELY TO HAVE THE DISORDER…. Tune in to hear Derek and Dylan talk about the upcoming release of “Chasing the Rabbit” on WGAN’s Inside Maine. Derek interviews Erin Rice and Lillian Scenna from the Pine Tree Society about the Southern Maine Autism Conference on his radio show. Derek will be leading a breakout session at the 2015 Autism Association of New England annual conference in Norwood, MA on Friday, October 23. Tickets will be available late summer….